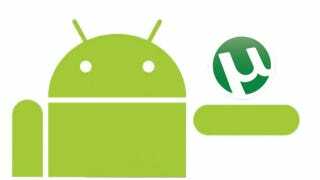 BitTorrent, the parent company of uTorrent, is reportedly developing a mobile P2P file sharing client for the Android platform. Such an app would allow uTorrent's 140 million users to trade files over any wireless connection without the need for a desktop or laptop intermediary. "Like any software company, we know a mobile experience is really important to our users," a BitTorrent spokesperson told TorrentFreak. The Andorid platform was reportedly chosen over iOS due to its open environment. BitTorrent would likely face strict censorship of the app from iTunes and the Android Marketplace but could still be loaded from sources other than the official Android fire hose without needing to jailbreak the device.